You have six months of take-home pay socked away in an emergency fund. You pride yourself on your 720 credit score. And you contribute enough to your company 401(k) to get a match. If this sounds like you, then you deserve a big pat on the back—you’re well on the road to optimal financial health. But what are the signs that you’re really rocking your finances—that you’re not just an “A” student, but picking up extra-credit points along the way? To help you see if you’ve entered overachiever territory, we’ve rounded up six benchmarks that show you’re kicking your finances into high gear. And even if you can’t tick off everything on this list, consider them aspirational new goals to work toward, so you can take your money game to the next level. Telltale Sign #1: You’re a two-income household—but you can live off just one. For couples who bring in two salaries, it can be tough to resist the temptation of lifestyle inflation—which makes it all the more impressive when you can comfortably live off one income and devote the other to long-term goals, like retirement or a college fund. So if you’re part of a duo who’s resisted trading up your lives with every raise or bonus, consider yourself masters of living well within your means. “[Living on one income] is a great discipline—and it provides a lot of financial help if one spouse loses a job down the road,” says Jean Keener, a CFP and principal of Keener Financial Planning. If you’re not quite there, comb through your expenses to see which category of costs is eating into your budget the most, and use that as a starting point for paring back. Telltale Sign #2: Your net worth exceeds your annual income—and keeps growing. 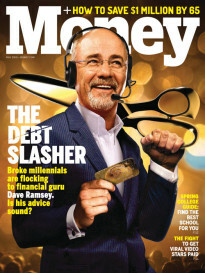 Net worth is one of the most important barometers of financial health because it looks at your whole money life: your total assets (like the cash in your checking account, the current value of your home and your investments) minus your liabilities (such as student loans, credit card debt and what’s left on your mortgage). While having a positive net worth is great, having a net worth that exceeds what you earn is excellent because it shows you’ve been diligent about building wealth, living within your means and paying down debt simultaneously—goals you don’t have to be in the wealthiest 1% to achieve. There’s no hard and fast rule for how much your net worth should be. But for something aspirational, O’Reilly likes this equation from Thomas J. Stanley, author of “The Millionaire Next Door”: 10% times your age times your income. So if, say, you’re 40 and make $100,000, your target net worth would be $400,000. But don’t let that number intimidate you—what’s really important is that you show an upward trend. Just make sure that you’re not relying on just one asset to get into the black. Otherwise, you may not be addressing all of your long-term savings goals. For example, “[Your] half-million-dollar house is not necessarily something you’re going to use to fund your retirement,” says Cheryl Krueger, a CFP and founder of Growing Fortunes Financial Partners LLC. A healthy retirement plan covers a comprehensive mix of assets. Telltale Sign #3: You can name what’s in your investment portfolio. If you’ve been steadily stowing away 10% of your income into your 401(k), congratulations! Now, quick: What’s your asset allocation? 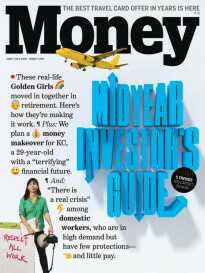 Unfortunately, investing with blinders on isn’t altogether uncommon: One 2014 MoneyRates.com survey found that one in five people don’t know what goals they’re investing for—and about 12% don’t know which primary asset class their money is in. So how can you go from clueless to someone who can answer the asset allocation question in five seconds flat? For starters, keep tabs on where your accounts are housed, and don’t look at them as separate entities. Your portfolio as a whole should be reviewed to see if it’s meeting your investment objectives, whether that’s growth (taking on more risk) or preservation (taking on less risk to protect your principal). Once you’ve nailed down your total investment picture, figure out the frequency with which you’ll check on those investments—keeping in mind that you may have to tune out market noise. “You don’t have to look at the Dow every day, but you should be checking your portfolio every quarter or so,” suggests Keener. Telltale Sign #4: You neither owe nor get a refund at tax time. If you got to the bottom of form 1040 this year and netted close to zero, then you (or your accountant) did an excellent job of managing your tax liability. If you consistently owe or get a refund of more than $1,000, consider adjusting your withholding, so more or fewer taxes are taken out of your paycheck during the year. Using your most recent W2, fill out the I.R.S.’ withholding calculator to estimate what your number should be—and remember to take note of any life changes that could affect your tax situation, such as getting married, having a child or changing jobs midway through the year. Telltale Sign #5: Less than a third of your income goes toward debt. Your debt-to-income ratio (DTI)—minimum monthly debt and mortgage payments divided by your gross monthly income—helps tell lenders how well you’re managing debt. Although every lender varies, the oft-quoted benchmark for an acceptable DTI is 36%. Krueger, however, believes that percentage is still fairly high. “I would say 10% or less of your gross income going to debt is a good indicator [of strong financial health]—and, of course, you want it eventually to go down to zero,” she says. If you need to chip away at debt to improve your DTI, consider the “avalanche method,” which involves prioritizing paying down your highest-interest debts first, while still meeting the minimum payments on others. Then, once you’re done paying off that first debt, you can apply that payment to your next highest-interest loan or credit card. Telltale Sign #6: You’re done with car payments. Being free and clear of auto financing is a double-whammy positive indicator. Not only have you eliminated debt—and likely improved your DTI—but “it means you’re driving your cars longer, and getting more value out of them,” O’Reilly says. But living car-debt-free is something few Americans seem to be able to accomplish: At the end of 2014, the country’s automotive loan balances reached a record $886 billion, according to Experian Automotive. Of course, this doesn’t mean you should sink a hefty lump sum into your car loan just to be rid of it. “[Not having a car payment] is a positive indicator [of financial health], but with interest rates so low right now, having a car loan isn’t necessarily a bad thing,” Keener says. You could, for instance, consider using that money instead to beef up an emergency fund, pay off higher-interest debt or invest in something with better returns. In other words, what having no car payment really signals is that you’re getting as much bang for your auto buck by driving your car until it dies—which can yield a significant savings, considering the average auto loan now surpasses $28,000. So before you trade up for the latest model, consider whether you really need that rich Corinthian leather, or whether the money could be better served for retirement—or a new-car savings account, so you can pay cash for your next ride. LearnVest Planning Services is a registered investment adviser and subsidiary of LearnVest, Inc., that provides financial plans for its clients. Information shown is for illustrative purposes only and is not intended as investment, legal or tax planning advice. Please consult a financial adviser, attorney or tax specialist for advice specific to your financial situation. Unless specifically identified as such, the individuals interviewed or quoted in this piece are neither clients, employees nor affiliates of LearnVest Planning Services, and the views expressed are their own. LearnVest Planning Services and any third parties listed, linked to or otherwise appearing in this message are separate and unaffiliated and are not responsible for each other’s products, services or policies.